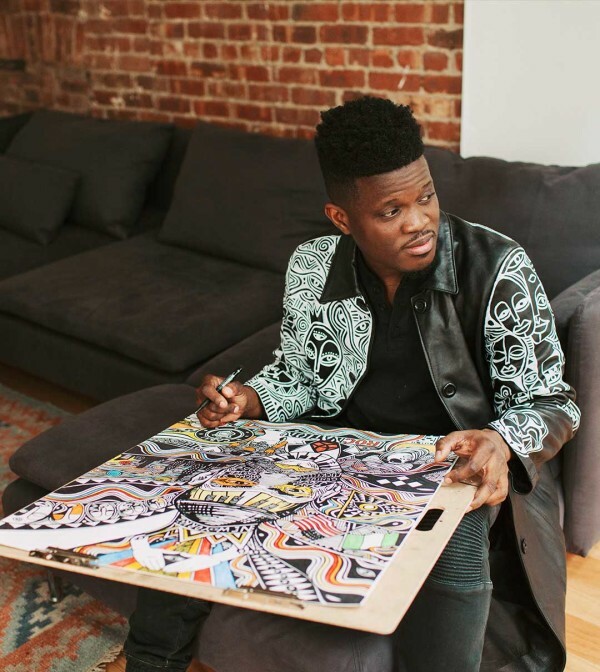 Renowned chain retailer, Nike has teamed up with Nigerian visual artist and musician, Laolu Senbanjo to create an Air Max Inspired Collection. The collection will not only depict Air Max but also New York, and sports. 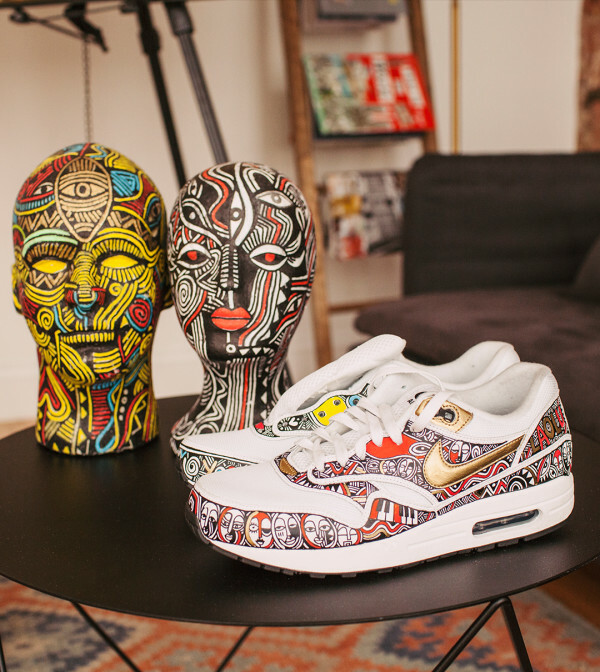 Senbajoto was part of the recently wrapped up event that run from March 24 to March 26; with special appearance on 25th where he used his work to showcase his proudly African roots, in celebration of Air Max. This creative quit his job as a lawyer to focus on his art. He took to his Instagram where he expressed, "I'm making my dreams a reality. This is my ayanmo. Create your destiny. Let me be your inspiration. Just do it!!!!" Go brother, adding some African Flavour ain't a bad thing you know.